It’s crazy how advanced phone cameras have gotten over last few years. Eight years ago, they were mere curiosities; today they can record 4K UHD video. But, making great video from your smartphone is not just about the technical abilities of its camera. It’s also about your proficiency in using it. Take your time getting to know all the features your smartphone camera offers. Practice shooting footage with it. Familiarize yourself with how your smartphone reacts to natural sunlight and cloudy days. 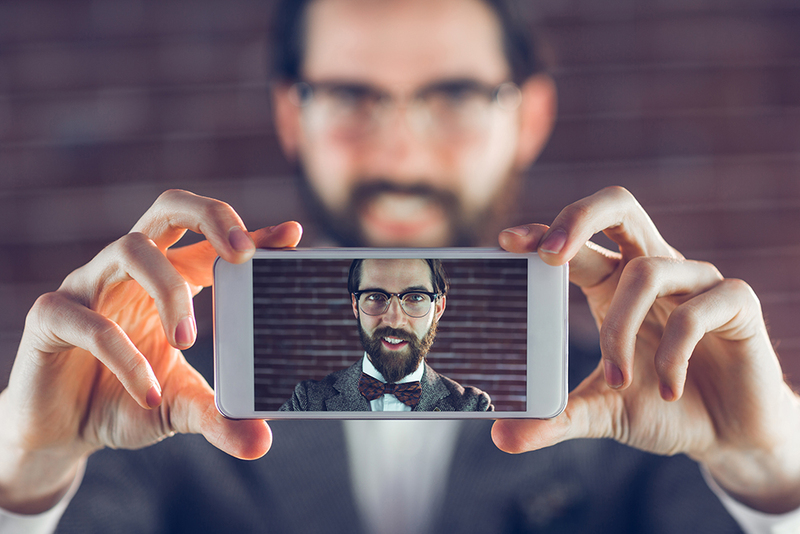 Find out if the lens distorts your face at all. Many will distort, even if just a bit, as the lenses are very wide angled and need a bit of a roundness to their shape, giving a small fisheye look, in order to be a wide-angle lens. As with any camera, recording good footage means keeping the smartphone as stable as possible. A solid tripod, monopod or gimbal will take care of that. Shop around for the best devise that suites your needs. It’s always good to do some research. Have a look at these two amazing smartphone gimbals. Even with professional sound equipment, if you record indoors, make sure you’re in a quiet area (limit air-conditioning and heater noise) with your talent as close to the smartphone mic as possible. As is the case with any video production, properly lighting your shot is vital. Just because you’re using a smartphone doesn’t mean you can always get away with the room’s natural light. Extra light sources will make your footage pop in ways you never thought your smartphone could manage. Nothing says amateur video quicker than poor lighting and poor sound, so take them both seriously. With your lights, take time playing. It’s an art. Bounce light off walls and ceilings. Play with the colour of your lights. Remember to light the space behind you as well. If you have a special sign or your logo in the shot, add extra light on it. Your own local big box store will have all kinds of small and big, soft and strong, lights for pretty cheap. Here’s something smartphones have over standard cameras; they weigh significantly less and thus, can record in angles and places that would otherwise not be possible. I don’t mean for you to go crazy with your camera angles, or forget the basics of good composition, when framing your video. But using a phone will allow you a little more freedom to experiment and to capture angles you may have otherwise been unable to get before. Now that your footage has been captured, the next step is to edit your video. There are a number of apps available. Some are free. Some cost a small fee. Don’t worry though; since we’re talking about tablet apps, the amount of money you’ll spend is about $20. Here are a few apps I recommend for your editing workflow. They are affordable, easy to use and give you the most editing features – making your smartphone video even that much more polished. Video Editor-HD: Very easy to use on an Android tablet. Basic tools. Adobe Premier Clip: I use this one. It can colour correct… in a small way. iMovie: Apple’s simple editing software seems to work better in the mobile realm than on desktops. Great tool for editing directly on your iPhone. PowerDirector: This is the most robust of these four apps that I recommend. It’s got some cool FX. Regardless of the program you use, the same basic editing principles still apply: always try to start with lots of footage, but then don’t be afraid to make the hard cuts (stuff that might look great but doesn’t fit in your story or pacing.) A trimmed down video doesn’t mean the quality of your message/story has gone. Trust me, Cut, cut… and cut some more.